On this episode Billy and Misha from Mary Mart return to catch up with the GCP guys. This time they’ve also brought Terrance and Chris to join the conversation. 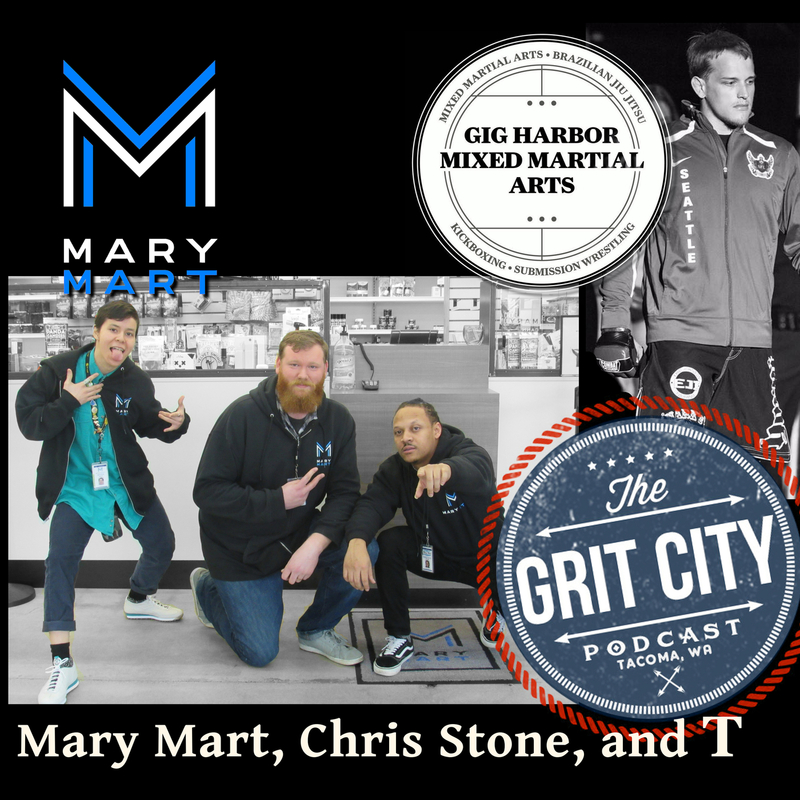 T is another face of Mary Mart and Chris is an MMA fighter and owner of the Gig Harbor MMA gym. Mary Mart is the largest square footage dispensary in the state of Washington that offers a friendly and fun atmosphere with premium cannabis and prices to fit anyone’s budget. They are located on 6th Ave in Tacoma, across the street from Red Hot. Bill is that manager that takes care of the day to day operations and Misha is the marketing manager. This episode kicks off with the guys talking about having bad tattoos and Brogan’s review of Mary Marts bath salts. Billy then dives into an update on the marijuana business, with unfortunate news that they we’re recently robbed. He tells about the 4 guys that broke in and their attempt to break in a second time. He explains that the guys have also been raiding other marijuana shop in the area, including hitting High Society four times. Brogan and Scott suggest using Apache Six, a company that offers private security to Tacoma based marijuana shops. 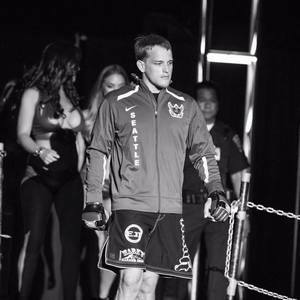 11:42 – Chris discusses his MMA career, turning pro May 2016, his current stats at 4 and 1, and his premier debut at the Emerald Queen in Tacoma. He tells the guys about his gym, Gig Harbor MMA, how he reads other fighters that he goes up against and how 80% of the fight is mental with 20% physical. Chris also talks about that amount of time that goes into training at them gym, which is typically every day. At the midway point, they dive into different types of marijuana, the strains on the market and Misha’s recommendation for shoppers to use leafly.com, a website that offers Marijuana Dispensary & Strain Reviews to assist with picking the strain that works for them. 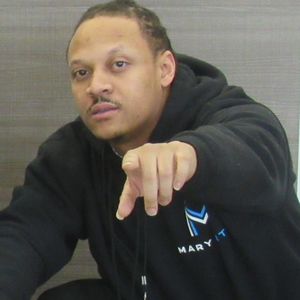 Terrance then tells the guys about what brought him to Tacoma 2 ½ years ago and what got him in the marijuana industry. 40:11 – Misha discusses upcoming events put on by Mary Mart, including the Black Sushi Event (3/03/2018), a fashion show with models showcasing clothing of local artists from the Tacoma and Seattle Areas. The topic then turns to Mary Marts plans for Mary Mart’s Got Talent, an open mic event with mixtures of comedians, slam poets, and live musicians, hosted by T. People interested in the future events can find more information on Mary Mart’s website or FaceBook page. The show winds down with Chris discussing taking over the gym in Gig Harbor and his decision to leave his job and run the gym full time. Chris further explains that at the time he was also making his pro debut in the MMA. Discussion then covers the guys running their own business and where people can find Mary Mart and Gig Harbor MMA. Thanks to Bill, Misha, T, and Chris for joining the podcast again to catch up with the guys, we look forward to having you on again soon!